It’s almost back to school for so many teachers. 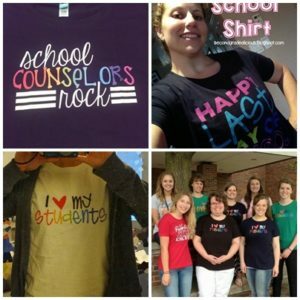 This Happy First Week of School teacher shirt may not help get your bulletin boards set up, but it might make choosing your wardrobe easier on a few mornings as you readjust to living on a schedule. After a summer off from school, this is a fun way to get back into the school groove. 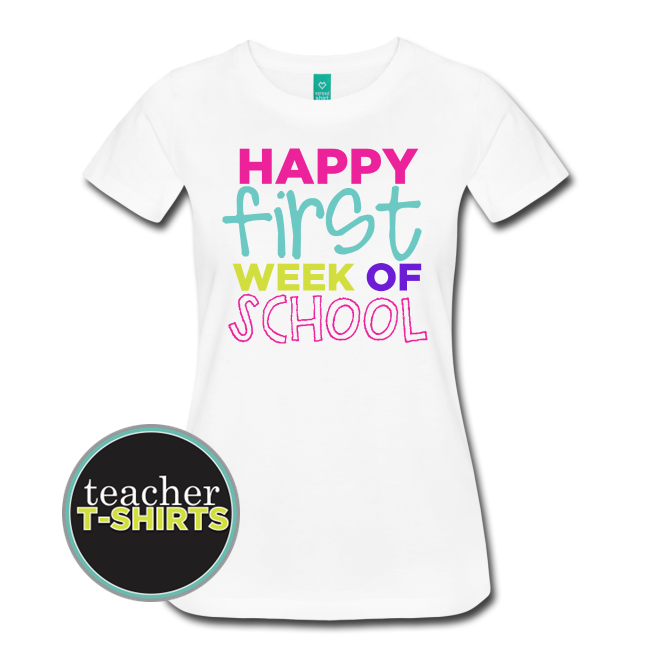 This digital print design says, “Happy First Week of School.” A cute teacher shirt with funky fun fonts and super colorful! The women’s classic/regular shirt in heather gray is very dark, so we recommend another fabric choice to show this design off best.